I wanted to read this book before the movie came out. One usually hears, “The book is better than the movie.” And I always make the effort to read the book first. I haven’t seen the Fault in Our Stars yet (sorry) because I haven’t read the book – but plan to! Unlike some novels, I found myself enjoying the speaker of the novel rather than being taking out of the story by their voice acting. It’s always amusing to hear the reader do the opposite gender. Despite the quality of the audiobook, my advice? Read the physical book. There are intricacies and conversations that you may wish to reread, which can’t happen easily with the audio. Simply, you miss things. The slang? Not my cup of tea. You could tell what the words were supposed to represent if you paid attention to the context, and they weren’t incredibly inventive. I could have done without that aspect of it. I think that the revealing of important information could have been approached better, rather than an “info dump”. The book would have been stronger if various characters worked out the why or how and together they determined what was happening. Unfortunately, the main character is the one who manages to “figure” everything out, solely by recalling every important detail when it is finally needed. The plot was fantastic. I never found my attention wandering and highly recommend it for most teen readers. It’s certainly an enjoyable, easy read (middle school level and above, generally) but one that has a degree of quality to substantiate it. 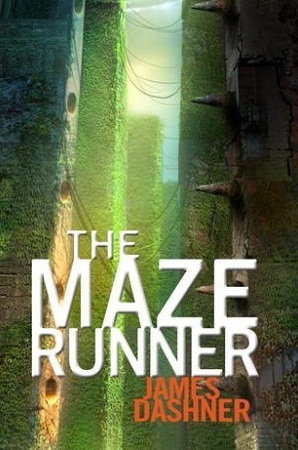 And in case you’ve been living under a rock, the Maze Runner is being released soon – so go read the book! Then you have my permission to see the movie.